As with the term ‘landscape architecture’, you can define the meaning of the term ‘greenway’ either from its linguistic origins or from the history of the idea it represents. ‘Greenway’ was coined by an inspiring urban analyst. William H Whyte, who wrote a famous book on The Social Life of Small Urban Spaces, Its first print appearance was in a 1959 report on Securing open space for urban Americ’. He wrote that in Philadelphia Edmund Bacon, another famous theorist, had planned neighborhood units with ‘greenways and parks in between’. The parks were blobs. The greenways were enjoyable links. Charles Little, in 1995, suggested that the ‘green-’ in ‘greenway’ came from ‘greenbelt’ and the ‘-way’ from ‘parkway’. This supports the use of ‘greenway’ to describe linear public open space in either rural or urban areas. Olmsted had used the term parkway for an attractive road through parkland. Greenways don’t have to run between parks. But do need need to be routes, for leisure or commuter use, and they do need to have good environmental qualities – in the sense of having attractive surroundings largely free from traffic noise, air pollution abd ugliness. 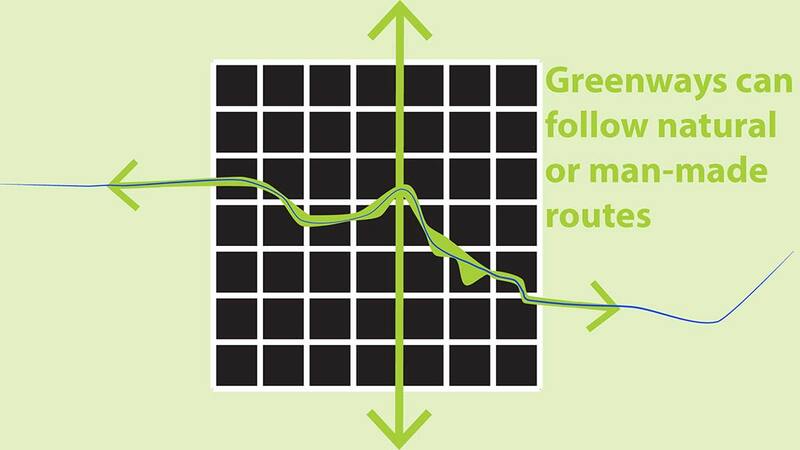 My preferred definition of a greenway is simply ‘a route that is good from an environmental point of view’. But I also agree with Jack Ahern’s 1995 statement that ‘‘Greenways are networks of land containing linear elements that are planned, designed and managed for multiple purposes including ecological, recreational, cultural, aesthetic or other purposes compatible with the concept of sustainable land use (Ahern 1995)’. 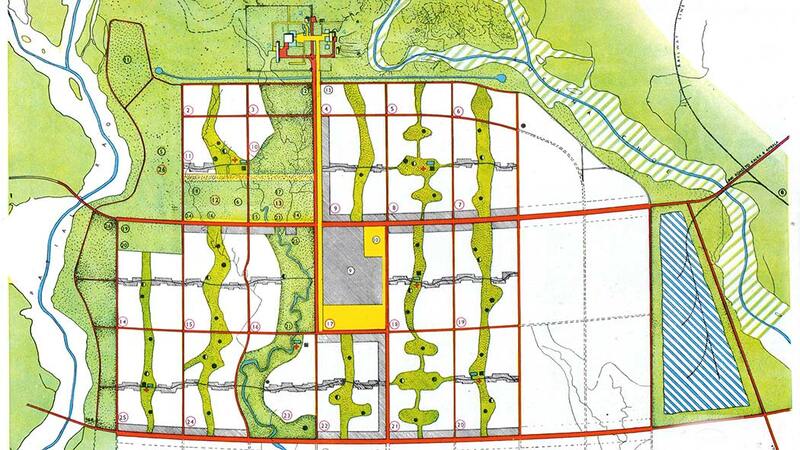 The Chandigarh greenways were planned by Albert Mayer, Mathew Novicki and Le Corbusier. Many were built as planned. Others have been used as building land. The Chandigarh greenways are used by pedestrians and cyclists. The best of them are also river valleys. This should have been used as a precedent in the design of India’s post-1947 urbanisation. ‹ IS landscape architecture one of the ten most important professions?